2008 Hyundai Matrix 1.6 Classic. Only 20,000 miles with full service history stamped at 3k, 5k, 7k, 9k, 10k, 12k, 13k, 16k, 17k and 18k. This car includes central locking, 3 keys, electric mirrors, trip computer, isofix, CD player, tow bar. 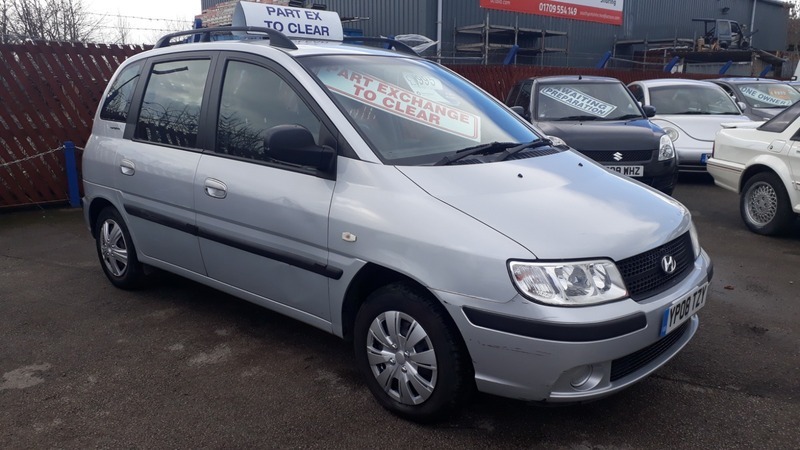 DUE TO THE AGE, MILEAGE OR CONDITION OF THIS VEHICLE, IT DOES NOT QUALIFY FOR OUR RETAIL STOCK THEREFORE WILL BE SOLD AS SEEN AND AS A TRADE SALE/PART EX TO CLEAR WITH NO WARRANTIES OR GUARANTEES GIVEN. WE HAVE NOT INSPECTED THIS VEHICLE.